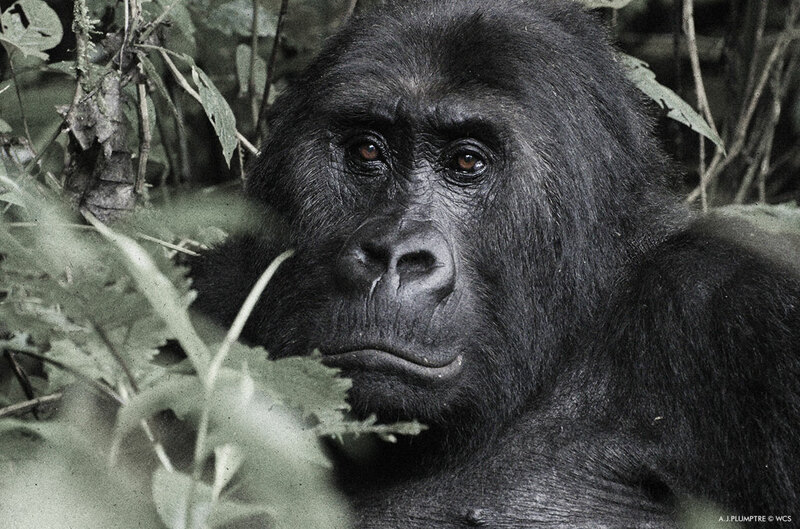 BREAKING: Grauer's gorilla has been listed as Critically Endangered on the IUCN Red List of Threatened Species. Previously released WCS research shows Grauer's gorillas numbers in the Democratic Republic of Congo have declined by 77%. Fewer than 3,800 remain in the wild. Congress has the power to help save these peaceful creatures by reauthorizing the Multinational Species Conservation Fund (MSCF). But they aren't likely to bring it to a vote unless they hear from constituents like you. There's no time to lose – if the MSCF isn't reauthorized, crucial programs that protect gorillas could disappear. Send your letter today. As a constituent and a supporter of the Wildlife Conservation Society (WCS), I'm writing to urge you to cosponsor legislation introduced by Representatives Don Young (R-AK) and Alan Lowenthal (D-CA), to reauthorize the Multinational Species Conservation Fund (MSCF) through 2022. The MSCF is the cornerstone of the international conservation programs administered by the U.S. Fish and Wildlife Service (USFWS). Since 1989, the five funds that make up the MSCF, all established by Congress with bipartisan support, have awarded more than 3,500 grants to protect some of the world's most endangered species, including tigers, rhinos, great apes, elephants, and marine turtles. Recent projects have included everything from fighting poaching of African elephants in Conkouati Douli National Park in the Republic of Congo to conserving the last remaining tigers in the Endau-Rompin Landscape in Malaysia. I'm worried that we are losing our biological heritage. Scientific evidence shows that extinctions are occurring from 100 to 1,000 times more quickly than the natural rate. Unless we alter course, 60% of the earth's species may disappear by the end of this century. Every species and subspecies benefiting from the MSCF continues to face significant threats. Without continued support, the risk that these iconic animals may go extinct from in the wild from the constant pressures of poaching, habitat loss and human-wildlife conflict increases substantially. I understand that it is a tough fiscal climate. But the MSCF represents an inexpensive, efficient program that provides benefits well beyond its stated objectives. MSCF investments consistently leverage 2-3 times as much from partner governments, local NGOs, international conservation organizations, and private businesses. These are critical programs for protecting the world's most charismatic species. I urge you to cosponsor the bill and join in the bipartisan effort to save wild populations of these important species. Thank you for your consideration.